Dr Cawker graduated from the University of Waterloo (BSc, OD) and came to Peterborough in 1988. She practiced as an associate for 3 years before opening this practice in 1991. She is certified in Advanced Ocular Disease and Therapeutics Management. 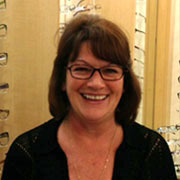 Dr Shields graduated from the University of Waterloo (BSc, OD) in 1993. She practiced in Thorold for 2 years before joining this practice in 1995. 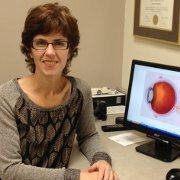 She is certified in Advanced Ocular Disease and Therapeutics Management. Dr. 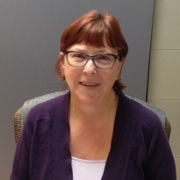 Le joined our practice in July 2015, following graduation from the University of Waterloo (BSc, OD). 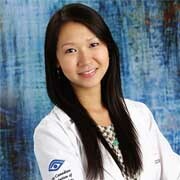 As part of her clinical education, she received extensive training at Baltimore Omni Eye Specialists, where she gained valuable experience working with ophthalmologists and optometrists in the care and management of patients with various ocular disease. 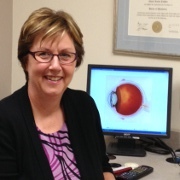 Her training took her to several private practices across Canada where she became proficient in family eye care, glasses and contacts, emergency services, and management of eye disease. Diana also completed her undergraduate studies at the University of Waterloo where she studied Biomedical Science and completed a double minor in Biology and French.